There are always going to be brands that take inspiration for their products from others. It’s much like the blogosphere and why marble is all the rage with beauty bloggers at the minute. Make-up Revolution are a brand who come under fire almost every time they release a new range. I usually ignore it as I don’t tend to use their products anyway, but I couldn’t get over the similarity between their new brush range Ultra Metals and Real Techniques latest range Bold Metals. I’m not against it, I just think the resemblance is insane. I understand that there are businesses who are early adopters in their industry, the ones who have first mover advantage, those who are the dynamic companies who develop things first; the innovators. There are then those who sit back, take learnings from the product, it’s launch etc and use this information to follow up with their version, sometimes these can be pretty much identical. There are plenty of businesses across different verticals who make their millions on this model, so why would beauty be any different? I applaud Make-Up Revolution (sort off) for seeing what works well in the market and replicating it at a lower price-point. Not only does it make it accessible to a market other products aren’t, they receive huge followings. But perhaps that is their USP? Their unique selling point is that they make these products more commercial? More accessible for those of us who don’t want to spend £15 on a lipstick or £20 on a make-up brush. I feel companies like Make-Up Revolution come under a lot of scrutiny for having a business model that has been a successful one for other businesses for years. Whilst I don’t particularly use their products, I’ll probably give these brushes a go, not because they are Make-Up Revolution, but because they must have thought the Real Techniques ones were good, otherwise why would they copy? And whilst they want people to be loyal to their brand, ultimately they are happy piggy-backing on other popular products whilst making them affordable to a wider market. And to be honest, I’m OK with that. What do you think about the similarity with these? I actually really strongly disagree with you here, especially as its about Make Up Revolution who have time and time again blatantly copies other designs. I am not against drugstore make up brands at all-but I don’t understand why so many of them manage to do their OWN products yet MUR just continuously copy. I think it had nothing to do with price point-Sleek, Bourjois, Rimmel (and many other brands I am not that familiar with having not lived in the UK for 10 years now) can all do their OWN thing, I think MUR should be ashamed for the companies ethos. By the way, I made a similar comment on social media to this and was emailed directly by the owner of MUR. He asked me if I would like him to share their companies ethics and ethos so I replied and said yes-I never heard another word from him. I 100% agree with you!! I have also commented on their YouTube and Instagram and shared these sentiments with them. It’s a very very shameful copy of RT and now the beauty egg. To top it all off, the way they talk about their new ranges as though they created new innovative designs!! Utterly shameful. I’m really torn with this. I get why they would copy other peoples products and I love that it makes products more affordable, however, I would love to see them produce some more original things that are clearly their design rather than a copy of someone elses. Its got to be annoying for other brands who work really hard designing something for Make Up Rev to come along and make something the same, but cheaper! I applaud you for writing about this, a tricky topic and something that should be discussed more! I actually completely agree with you here. There are so many companies out there that ‘copy’ others’ designs, and no one bats an eyelid. Yes, MUR produce products that resemble those of others, they are filling the ‘dupe’ market at a good price point, and I think there is a need for that. BUT…they also do some really lovely products of their own, the new ‘new-trals vs neutrals’ palette is gorgeous and as far as I’m aware a product of their own design, as well as the quirky Unicorns and Mermaids ranges. They fill a good place in the market, it’s business, so people need to stop taking it personally. Real Techniques is known for making affordable brushes. They came out with a new beautiful design but the Bold Metals are quite pricey – someone is going to take the idea behind it and give it to the public for more affordable price. I went with the MUR brushes and probably won’t bother with RT ones. But that doesn’t mean someone else doesn’t appreciate the more fine design of the RT brush as they are gorgeous. First RT released Bold Metals – then MUR Ultra Metals – call me crazy but I think Zoeva is “duping” MUR with Rose Golden Luxury Set 3 which is their usual brush design but ALL is rose gold… just like MUR. 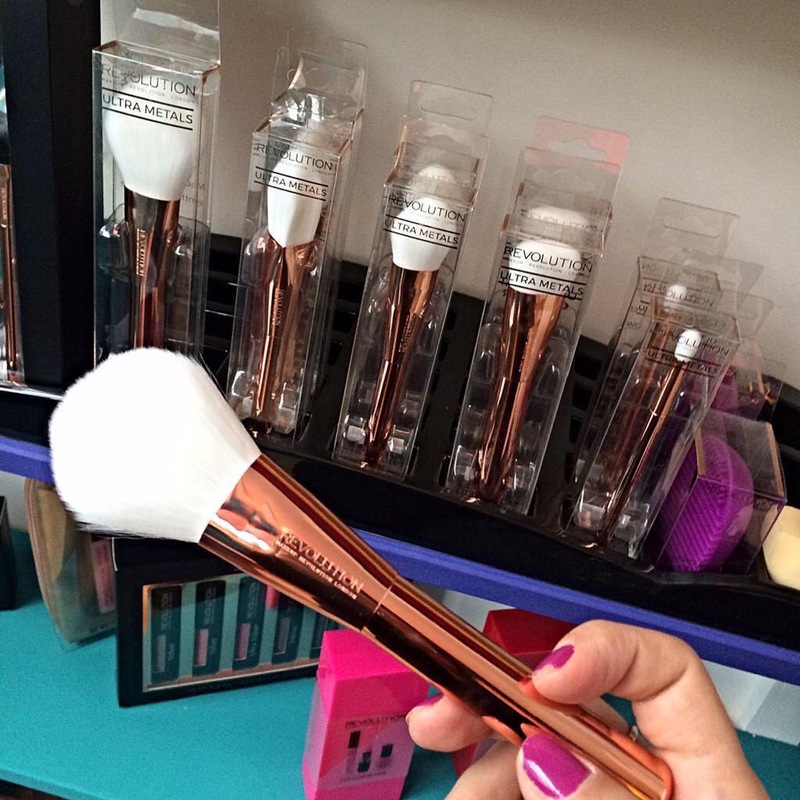 However that set is 90€ which makes me even more happy to stick with the MUR brushes to fix my hunger for rose gold. I guess more and more companies are going to jump on the metal bandwagon simply because it sells.